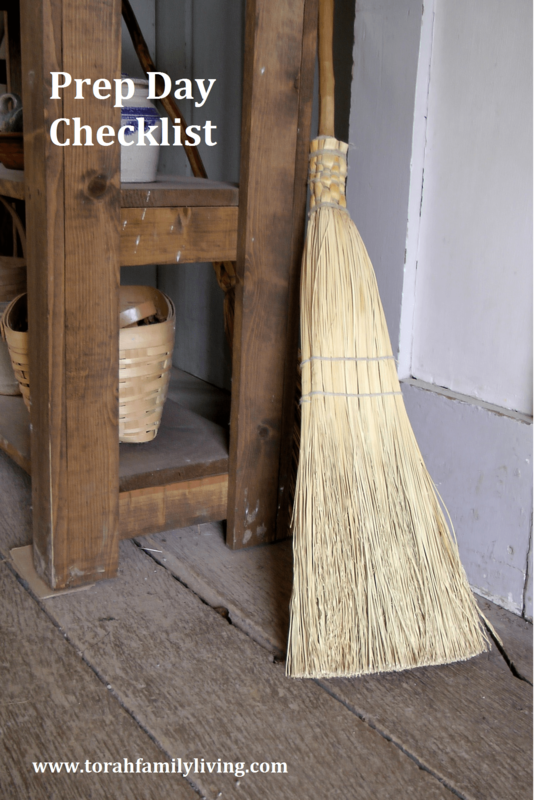 Here are some helpful reminders to help you get everything ready for Shabbat, because no one wants to remember the wet load of laundry in the middle of a relaxing and refreshing Shabbat. 1 taken care of the laundry, particularly the wet stuff? I make sure I have clean diapers every Friday and we also make sure all the baskets of clean laundry are dealt with. 2 paid any upcoming bills? I have failed on this in the past and woke up in a panic Friday night. Make sure you doublecheck this one. Along with phone calls, you may want to wrap up loose ends on social media as well. It is nice to take a break on Shabbat. 4 cleared all the seating in preparation for relaxing? I tell the kids, “I’m going to be in this living room all day tomorrow and I don’t want to look at mess!” Make the effort to prepare your home for relaxing. We like making popcorn for Friday night, along with some of these snacks. Think through your other meals as well. Shabbat is our day off, so be sure to have your food ready ahead. Want a hot meal on Shabbat? Consider a crockpot! 6 set the day apart by making it special in some way? We always eat burritos (our favorite) on Friday night. We also set out a candle, sing a couple blessings, and enjoy dinner music. These are our cues that Shabbat is finally here. For more insight on making Shabbat special, read The Children’s Ketubah Project. 7 prepared a Torah related activity for your children? There are many resources available for teaching the weekly Torah portion to your children. You may want to print some activities out ahead, or at least jot down some study topics or teachings you intend to pursue. If you are blessed to have a group of believers to meet with, be prepared for that as well. When we are able to join with others, we pack the diaper bag, lay out clean clothes, and find everyone’s shoes. 8 apologized to anyone you may have hurt or offended? To truly enter into YHVH’s Shabbat rest, we need clean hearts. Make sure you are right with Him and with those around you. Please be aware that Satan hates families that obey YHVH’s commands. If He can find a way to disrupt your prep day, He will. 9 cleaned the kitchen, particularly the dishes? In my home, I try very hard to have the kitchen clean by dinner. In the winter, the sun goes down as we are eating, so I use paper plates. After dinner, we put food away, clear the table, and put any dirty dishes right in the dishwasher or in a large dishpan on the counter to deal with later. Do what you can to get things done ahead of time. 10 been looking forward to this gift of Shabbat? Many families use music to set the mood as they prepare. You may also want to set aside a few minutes in the afternoon to quietly regroup and pray for your heart to be ready for the wonderful rest that is Shabbat. As the sun goes down, remember that you can only do what you can do. If you didn’t feel you prepared well enough, just pray. Pray for YHVH to cover your lack and give you peace anyways. Life happens, and you don’t need to be hard on yourself. Not long ago, I had to rush out the door at 2:00 in the afternoon with an injured child. Needless to say, some things didn’t get done. But it’s okay. You can enjoy Shabbat all the same. What would you add to this list? How do you get ready for Shabbat? Six days you shall labor, and do all your work, but the seventh day is a Sabbath to YHVH your God. On it you shall not do any work, you, or your son, or your daughter, your male servant, or your female servant, or your livestock, or the sojourner who is within your gates. Ok, maybe it’s just me, but I would like to see this as a printable. ? Something prettying? I have a question. I understand that Shabbat is on the seventh day. How do we know that the seventh day is on Saturday and not Tuesday? Is it because all of the printed calendars start with Sunday? In the creation God rested on the seventh day. He didn’t say that He rested on Saturday. I have friends tell me that “their” sabbath is on their day off– which could be Thursday. And we know that Christian church -goers say that God changed the sabbath to Sunday. What can you tell me — for me to know and maybe others that want to keep the Sabbath day holy but question which day it really is. That’s a very good question. Historically, the numbers attached to the days of the week have been very consistent. The Jews have kept Shabbat on Saturday for at least 3000 years. The church consistently refers to the “Lord’s Day” as the first day of the week. As far as Sabbath being changed to Sunday, it doesn’t take much research to discover that the Catholic Church claims responsibility for changing Sabbath to Sunday. Here is a link you may find helpful that covers the history of moving the day to Sunday. http://cgi.org/who-changed-the-sabbath-to-sunday/ I know it is tempting to just pick a day for rest. We tried that ourselves, but it just isn’t right. YHVH wants us all to be resting together on Shabbat, not some on this day and some on this day. I’m sure there’s more info out there that I’m not aware of. Start with this, and keep researching. Blessings, and when I find more helpful links, etc. I will share them here. This is fantastic Heidi, I am a Shabbat keeper and only this week have heard of the Torah after asking for the right way, more of the truth of YHVH’s word. My prep days have always been so hectic and a mad rush to get everything spot on, feels burdensome as I have only ever heard what I should not be doing on a Shabbat. I asked only today for Torah observers to come to me and I came accross your blog this evening. WOW. I so look forward to prep day tomorrow and about getting my heart clean before hand and praying with my tribe about having clean hearts for shabbat. I can see it so differently now, a day soaked in love, a day of peace, a day of soaking our love in YHVH. This is the second article I have read on your blog where my jaw has dropped to the floor (not literal of course hahaha) in amazement and awe. He is so great!! !